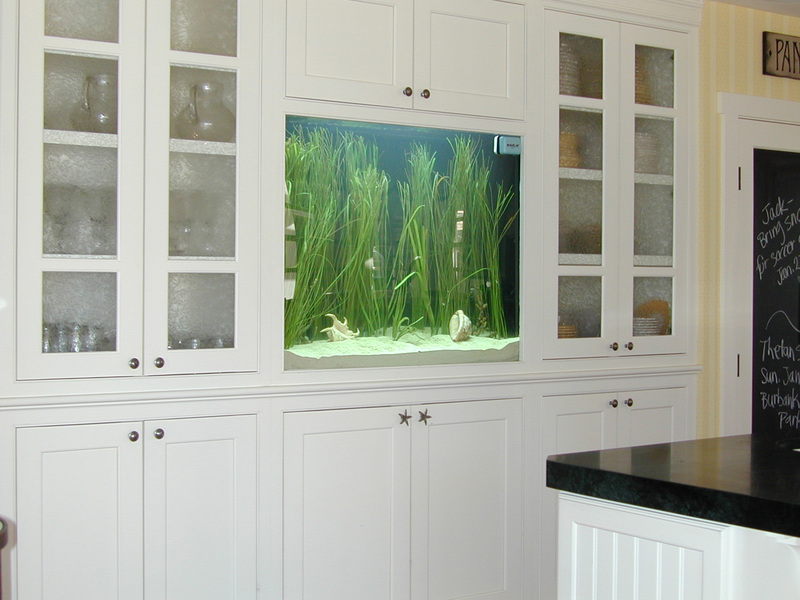 Filter system is a re-converted ( back to ) Wet-Dry Trickle filter with a large sump area. An ASM G1 protein skimmer drives out organics and a Rio 2500 provides the main return of water back to the tank. 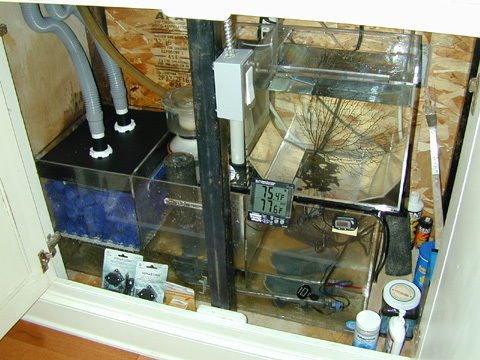 Note the Ephyra tank sitting on top of the filter sump. 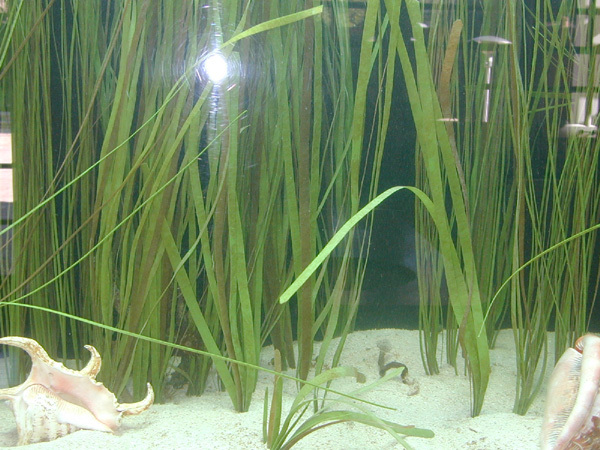 It is used as a nursery for newly born seahorse fry. It is driven by a simple siphon of water from the display tank above and deposits its water directly into the sumo via a stand pipe and drain bulkhead. Water is returned into the tank via a 32" spray bar with outlets 1" apart. This flow moves across the surface, down the front and curls back to help keep the artificial plants standing straight upwards. 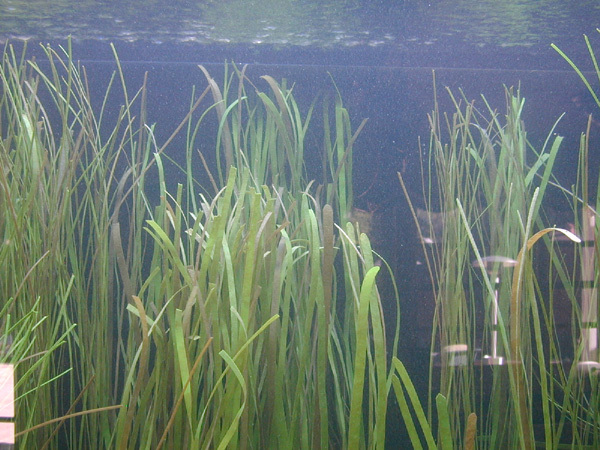 All plants are artificial and based on eel, surf and turtle grass reproductions. Plants range in height between 28 and 32 inches. A small plastic disc secures the plants into the sand. All plants are secured into a three inch bed of true live sand from Florida. At this time the tank contains all Hippocampus Reidi's; two pairs of tank-raised, three more pairs of tank-bred and four pairs of wild-caught Brazilians ( the colorful ones ). The tank-raised and tank-bred have been by far the hardier. There is about 50% success with the wild-caught horses. 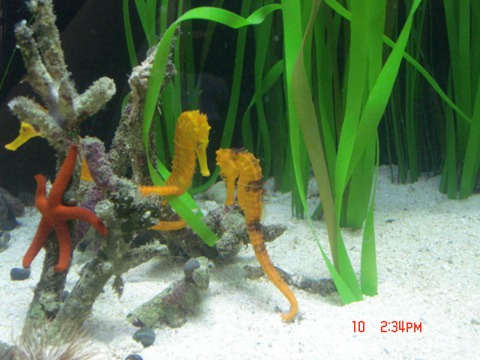 We have had at least three batches of baby seahorses from the tank-raised horses. 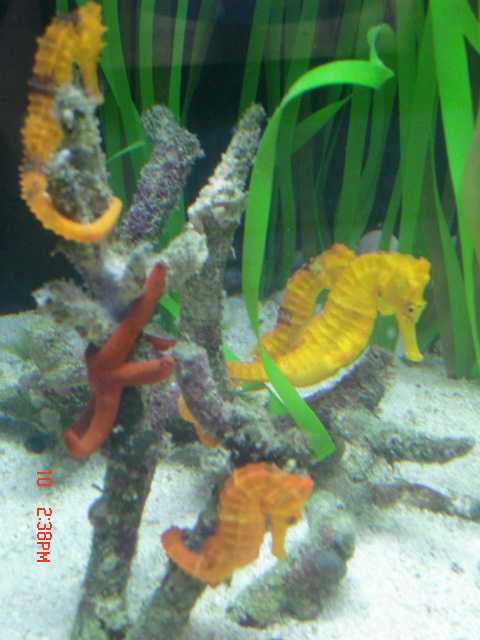 The biggest challenge to having seahorses is the foods. Wild-caught prefer, to the point of starving to death, live foods. Tank-raised and tank-bred both eagerly, and far more conveniently, consume frozen mysis shrimp.